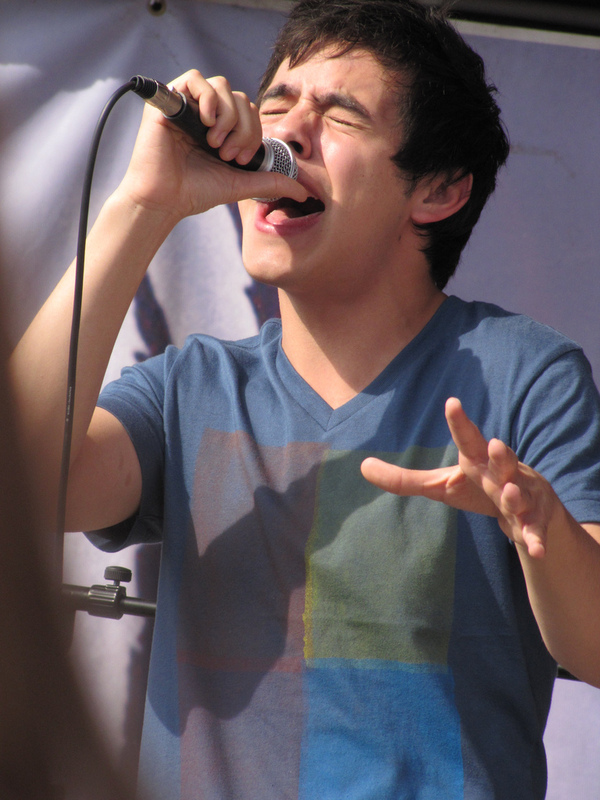 Fan Foto For a fan with a good camera and access to the stage, there is nothing better than photographs of David Archuleta singing. David never looks better than when he is in full song. Recently, fan IceCreamKPie took a series of amazing shots of David at a Q92 Radio appearance in Canton, Ohio. As an American Idol contestant in 2008, David was criticized—quite wrongly, in my opinion—for closing his eyes when deep in song. Gosh, I find myself closing my eyes sometimes when he is singing, only the better to hear his voice without distraction. It’s very natural to listen to music with ears wide open and eyes wide shut. Don’t you agree? Photo credit: IceCreamKPie. See more great photos from this wonderful fan fotog! Did you miss the “Back on Television” photo last week? This Post has earned 4 Buzzes. Kristin, I LOVE your photos. Some of the very best I’ve seen of David and I’ve seen a ton! Thanks for commenting today. I have to say you are one lucky person to get to see David at three different places!!! And thank you for putting all those pictures online for us all to enjoy! Great shots! !